It was a Saturday night in the city and I was sitting amongst friends and acquaintances, discussing our carefully collected money, office leaves and where to go with it. We all had this itch sometimes and it grew silently when we least noticed it; a deep desire to get up and move. Maybe it was just too much of the city. Maybe it was because we were restless 20-somethings. Maybe we just craved something different sometimes. For the better half of an hour, we debated where to go. But when enthusiastic discussions of the nearest spa resorts and luxury hotels began to prevail, I slid away silently and made my own plans- I wasn’t looking for a quick escape or a drunken vacation. If everyone has a travel motto, mine would be this: travel long, travel slow, travel raw. After a 48-hour bus journey from Delhi to Leh, I made my way to Phyang village, 18 km from Leh city. 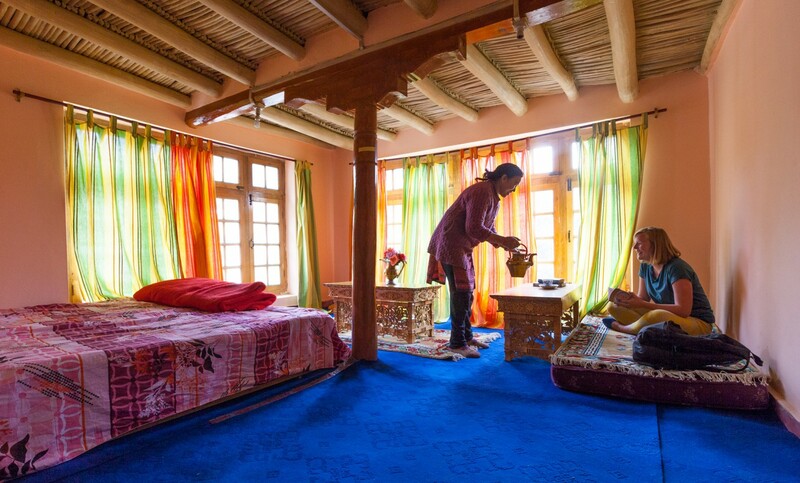 I had learned that the farm stays in Ladakh had their doors open not only to vacationing guests, but also to volunteers. The Phyang and Phey village farm stays were in need of volunteers to assist with daily farming activities and to teach basic English to aid the village locals. Excited about the prospect of giving back to the community (and the unavoidable fact that I had more time than money in my hands) made me head to Phyang farm stays as a month-long volunteer instead of a short-term guest. The jeep bounced along twisted roads on the journey from Leh to Phyang. The entire ride my neck was craned outside as far as it could go, seeing trees and the occasional human whizz by, squinting at the Phyang monastery looming in the distance and watching it slowly grow larger as we approached. All this against a backdrop of wrinkled brown Himalayas; tired city eyes dare not blink. The jeep slowed to a halt and I walked up to my farm stay. 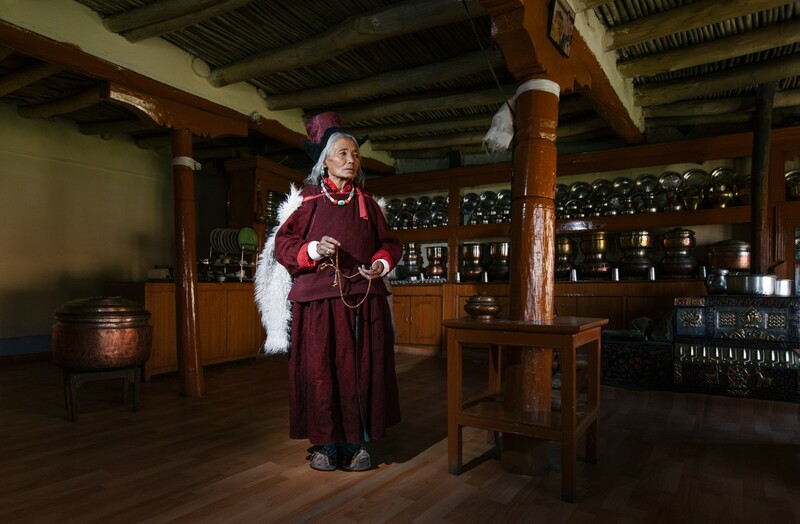 "Juley” comes the soft; warm Ladakhi welcome from a graceful woman who stretches out her arms to greet me. This was my first encounter with a Amalay, the village mother whose farm I would be staying at for the next one month. 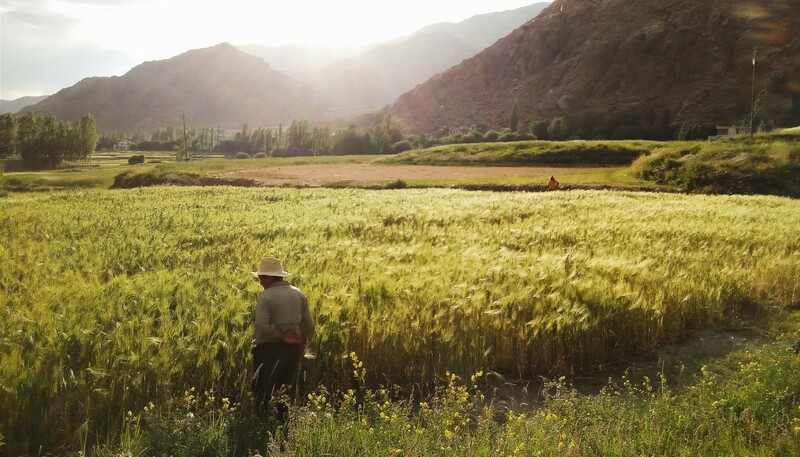 In the warmer months of May to September, the farm stays in Phyang and Phey valley are open to travelers, volunteers and guests from around the world. For tourists hopeful of a lazy, luxurious vacation, stop reading here. Each day for a few hours, we get our hands dirty by helping the mothers with their fieldwork. The fieldwork was required only of the volunteers and while guests didn't have to help, I noticed many joined in anyway. Trotting up a hill one afternoon, I received a bird’s eye view of Phyang village, the farm stays and the workers on it. As I watched the people on different farm stays go about their daily work, I was struck by a realization- The Mothers rule this little world. From cutting crops to cooking, to looking after the house, to rearing the cattle and bringing up their young- the women here do it all, with a rare breed of dignity and grace as they immerse themselves in their work. I follow behind the Amalay everyday like an overly eager shadow that asks too many questions. Why were the bathrooms built outside the main house? Where are all the men in the village? Where are your children? Why are all the young people here from other places? She laughs and answers patiently, taking on one question after the other. Her husband and most men from the village work outside and do not live in the village. 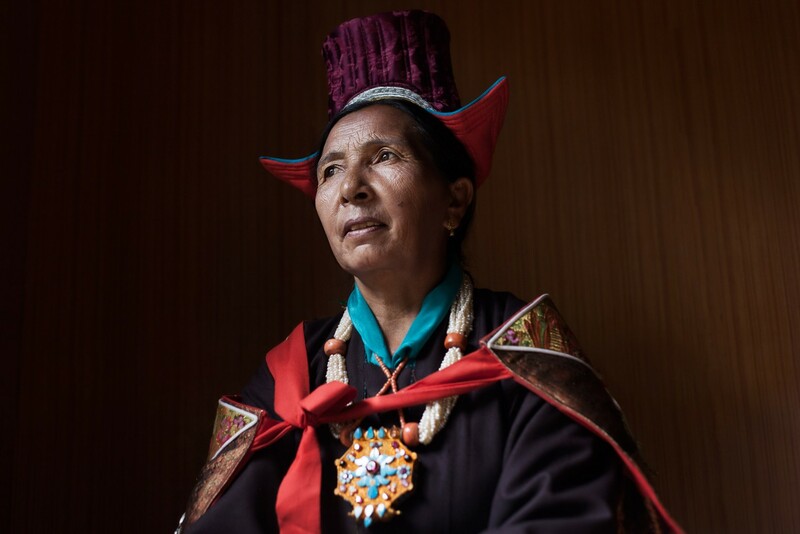 Her children, like most other youth in Ladakh villages, have left the simple life to move forward into attractive cities so they can chase more lucrative jobs. The steady increase in urban migration can be clearly seen by the dwindling number of youth remaining in the villages. "I try to tell them that this-" her arms hold before them the vast lands, mountains and cattle “- this is all you need." She sighs and continues. "But I will let them find their own way." As she speaks, I wrestle with my own perspective and questions- is moving away from a simple life a step forward or a step backward? In the evening, after our day thoroughly spent in the fields and farms, she puts down a meal of hot soup and vegetarian momos on my plate. I chew and think of my next question. "Is it a religious choice to not eat meat?" She ponders. It's not a religious choice, she says, but a sustainable one. The cows give them milk, labor, manure; even the dung is used as a thermal insulator when building their houses. “Then, is it not the most sensible choice to not discard everything for a quick meal?” she asks me politely. I nod, thinking up more questions. The bathroom was a two-story outhouse with a stairway leading to a room with a hole cut out in the middle. The waste is collected periodically from the room below. “The bathrooms. Don't any people in Phyang have the modern W.C? Why do most of the farm stays have dry toilets?" I nodded, rapt with attention and understanding. Ah, the circle of life. In my days on the farm, I learn more about its inception. 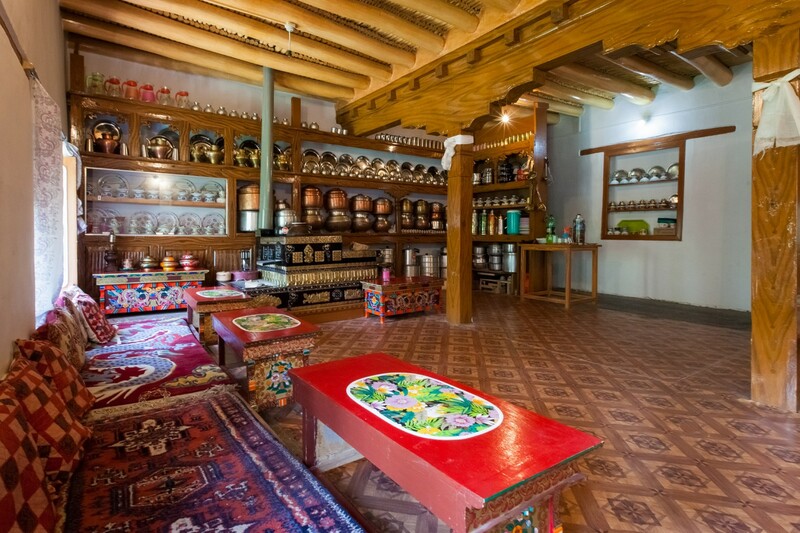 Farmstay Ladakh was the brainchild initiative of Sonam Wanchuk, a mechanical engineer and a brilliant innovator from Ladakh. Remember Aamir Khan’s character Rancho from the 3 Idiots? 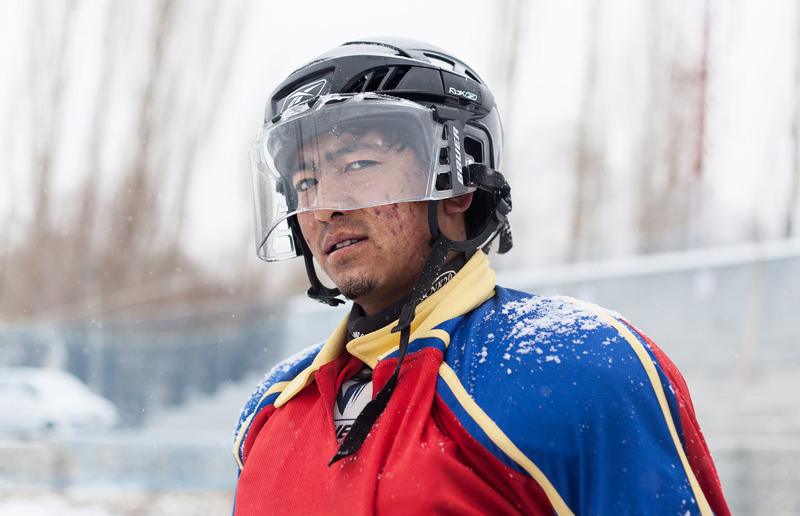 Rancho turns out to be an unconventional teacher in Ladakh, who is also a brilliant inventor. After Aamir Khan and crew did detailed interviews with Sonam for the movie, there is heavy speculation that the inspiration for Aamir’s character is Sonam Wangchuk. However, this is not acknowledged in the film’s credits. 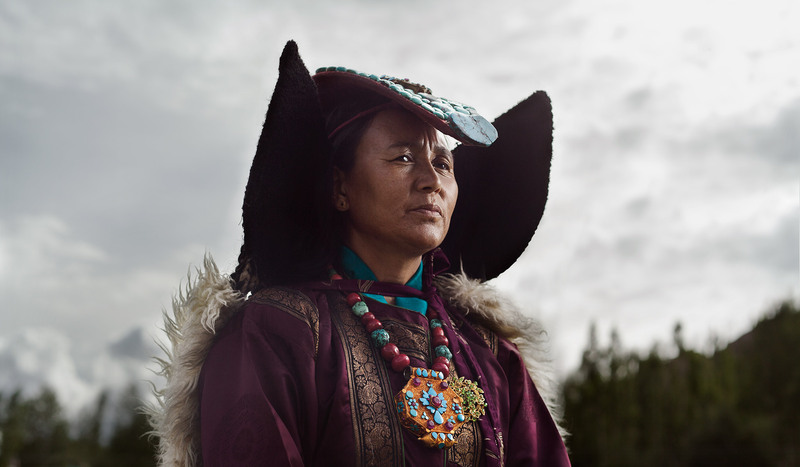 In recent years, when droughts and climate change left the once-lush lands of Ladakh dry, most of the villagers turned to God to pray for rain. Meanwhile, instead of praying, Sonam Wangchuk started the artificial glacier project. This involved freezing unused stream water into huge cones of ice during winters, which would then melt into springs providing water to farms and trees. 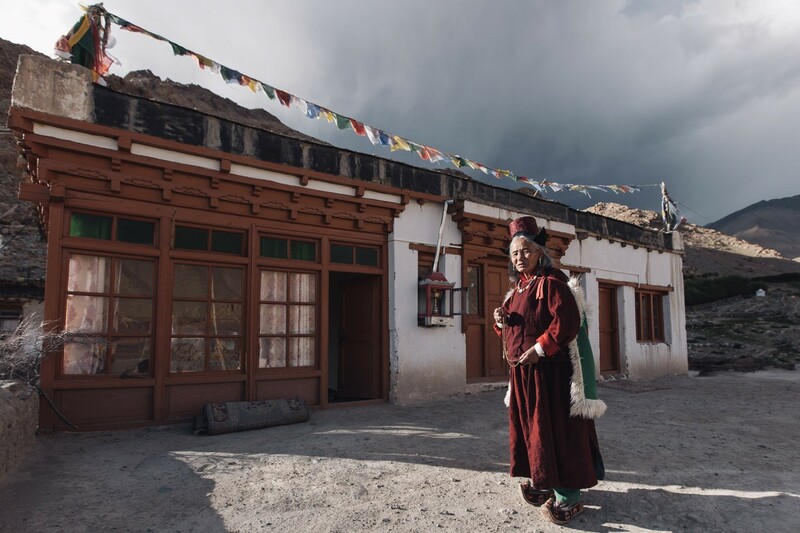 Though the original idea was by Aba Chewang Norphel Lay, Sonam Wangchuk took this forward and made the water accessible to people via pipelines. It was during this project that Sonam met 83-year old Abi Disket and learned the sad story she shared with other Amalays whose farms and families lacked young people. “And we were shocked. Only the old are left behind in these families to work on the farms. In some cases, there is no one to help the women.” adds Sonam. He happened to meet Abi Disket in Murudok the highest village in Phyang valley at 4,000m altitude. 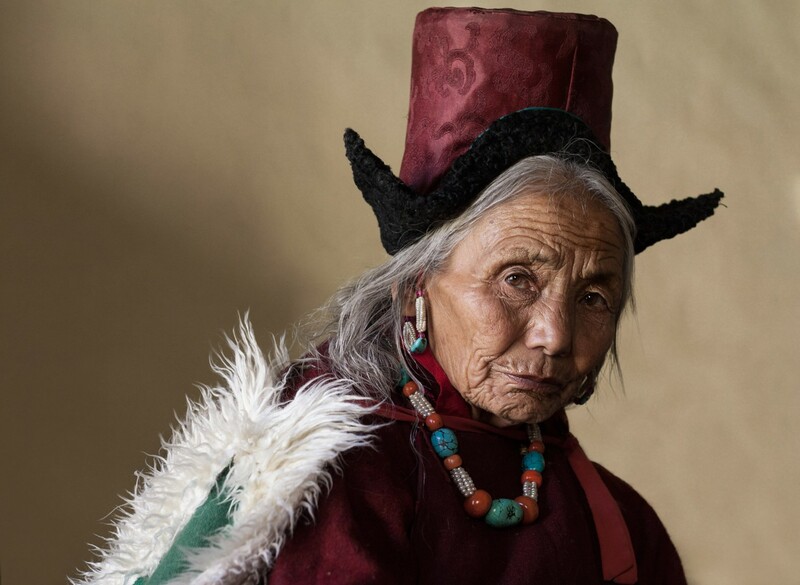 In a sad voice she recounted her life and that’s when he realized that she and several others of her age were living a lonely life looking after much of the farm work as the younger folk had left for Leh city. She was their inspiration for doing something beyond just water solutions, knowing that more water might only mean more work for the octogenarian at a time when she should be retiring and telling stories to her grandchildren. 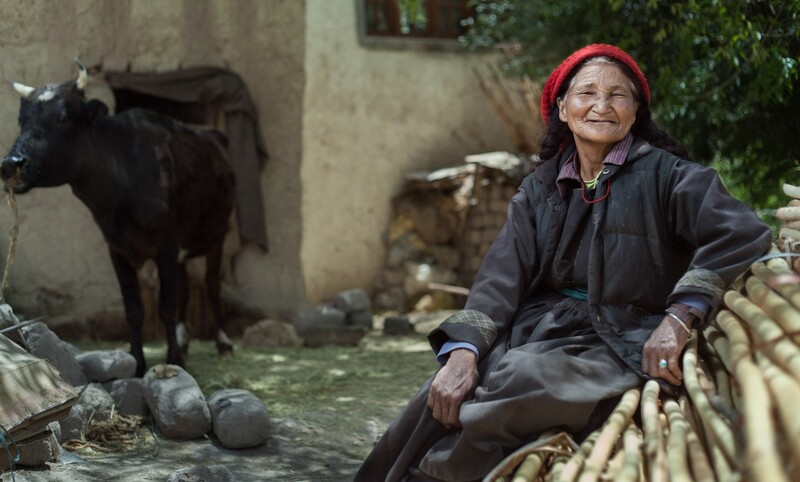 I realized that due to this urban migration, not only the grannies live a lonely life, but the children also miss a very beautiful part of Ladakhi upbringing. 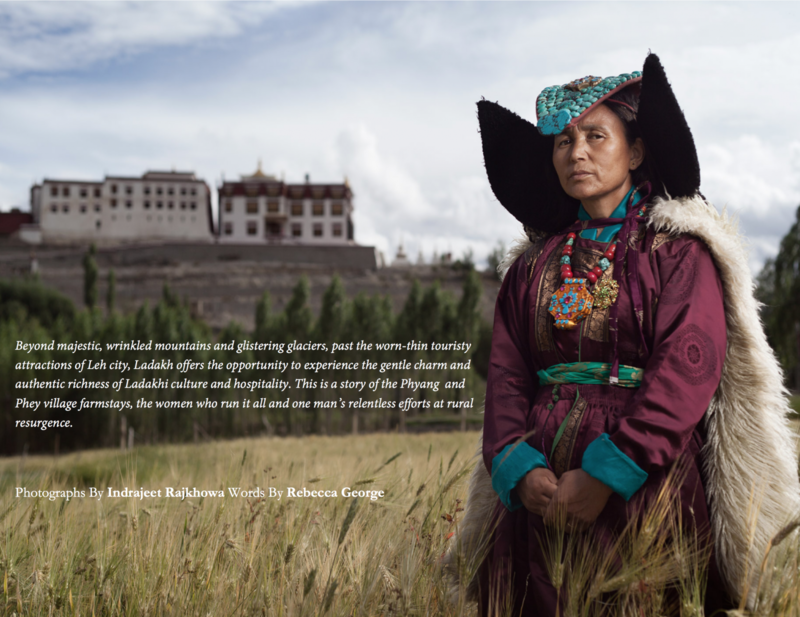 In July 2015, together with the Amalays (mothers) in Phyang village, Sonam came up with the concept of FarmStays Ladakh. Since most youth in Ladakh villages have left the simple life to move to cities, tourism (or rather its concentration in Leh city) was a big culprit for the Amalays woes and the reason for fewer hands on the field. But if tourism were the problem, then let it also be the solution. 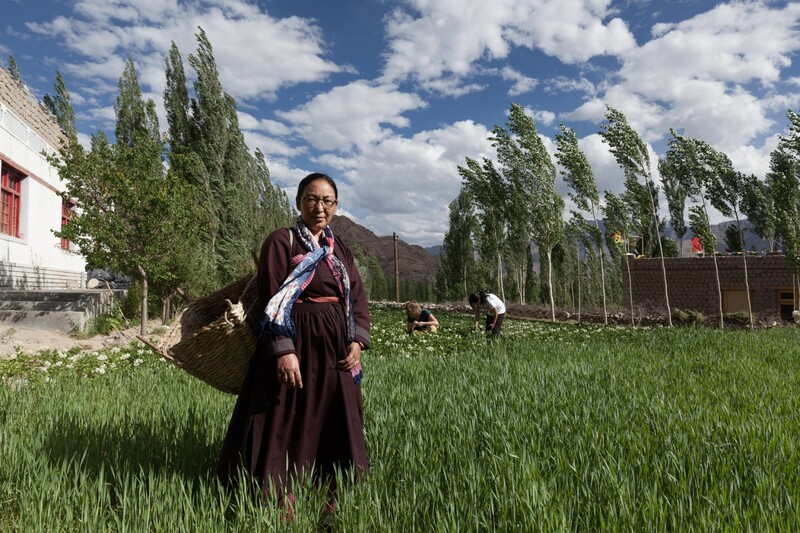 Agrotourism isn't a brand new concept in our country, but by bringing sensitive meaningful tourism to the village itself, Sonam Wangchuk believes agrotourism could be the move in the right direction. But before scaling it up to all the regions in Ladakh they wanted to test the concept in one or two villages. By starting with 3 families in Phyang last year to test the concept, they received very encouraging reviews- most visitors wanted to either comeback or send their friends and relatives. Or both, as they were delighted to learn. Sonam sees great promise in the farmstays for the lives of the village mothers. On some mornings, we borrow the local Royal Enfield and fly down unpaved roads, past endless green fields and under the pristine blue sky. Our laughter always echoes through the mountains. In the nights, we lean back under clear starry skies; the kind of skies you can’t really believe exist when you’ve come from a city. I think about the Amalay's children and wonder when they will come home. If they will want to come home. As I sit in open fields, my face tingling from the crisp air, conversing with other volunteers and guests and watching the setting sun, it's hard to believe that the grass can get any greener than it is here.